The County over sixties team travelled to Swindon on the weekend of 20th/21st March to partake in the Yehlex Veterans Inter County Championship. With Pat Edwards and Celia Hillman, two regular team ladies not available for this weekend it meant that for each match Cornwall would be commencing one game down. 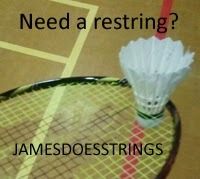 Matches consisted of one ladies doubles, one men’s doubles and two mixed games played best of three ends. Counties from Isle of Wight, Avon, Sussex, Devon and Dorset were also competing. Super Skip, Brian Hannibal decided to field similar men’s and mixed pairings to that which had a proven success in the league, so Mike Nancekivell partnered Tony Roberts while Chris Marr and Phil Oland teamed as No. 1 mixed with Brian Hannibal and Vera Nancekivell at No. 2. Three matches were scheduled for Saturday followed by two on Sunday. The first on Saturday was against the Isle of Wight which Cornwall won 3-1. Despite winning their next match against Avon also 3-1, it was a much closer encounter with Vera and Brian only just winning their mixed in a close three ends. Sussex were the last opponents on Saturday, somewhat an unknown quantity as they do not play in the same league during the season. 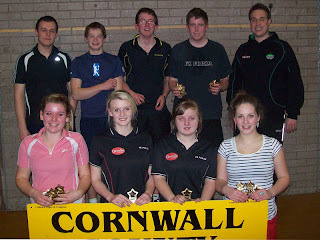 However Cornwall won both the mixed games, so all depended on the result of the mens. This turned out to be one of the closest and most crucial games of the weekend, where Mike and Tony came back strongly from loosing the first end to take the game in the third. Match won 3-1. Great days play by all, Captain happy! The first opposition on Sunday were rivals Devon. After taking the mens, Chris and Phil had a tremendous three ends to clinch victory in their game of mixed. Unfortunately it was not a similar result for Vera and Brian who lost to a strong Devon pairing. This match was drawn 2 each. Cornwall then went into their last match against Dorset needing only 1 point to become overall winners. Brian then changed the pairings with Phil and himself playing mens with Chris Marr and Mike at first mixed and Vera with Tony playing No2. This change was most successful as a 3-1 victory was achieved. Cornwall became the over 60’s South West champions by dropping only one point all weekend. Absolutely a great team effort, even more so without two ladies. The last weekend of the County campaign saw a strong Kernow team win back to back victories against the IOW on Sat 20th Mar and Somerset III on Sun 21st. On the Saturday, everyone was happy to have Emily James temporarily back in the fold, and the singles went well, with 3 'C's in the score sheet boxes, going into the level doubles. The girls played well, taking all 4 rubbers. Unfortunately, even though there were a couple of hard fought 3 enders, the Cornish guys only managed to win one. Cornwall had already won the match going into the mixed, but it was gratifying to get 2 out of the last 3 elements under our belt, securing all 3 points and an excellent 10-5 match win. Sunday saw only one change to the team from the previous day, with Tamsin Woodroffe being replaced by Lorna Riggs. The visitors came with a strong team, and honours were even after the singles. The Kernow 'kings' fought hard and secured 3 out of the 4 level doubles disciplines, with the girls managing 1 win a piece. The mixed would decide the match result. First blood went to Somerset in a nail biting 3 ender, however, the 2nd and 3rd Cornish pairings secured victories with a 'rabbit out of the hat' job by Dave and Lorna in a tense 3 ender that saw them lose the first one to 7! A satisfying end to the weekend/season with a 9 - 6 win. Overall position in the Division - a very very close second to the IOW. A big well done to everyone who has played in the team this season (additional names below) and a special thank-you to Jan Santillo who always stepped up to the plate (and usually won) to fulfil our singles elements. A total of 45 players from all over Cornwall, north Devon and Plymouth, had a successful, enjoyable afternoon’s badminton on Sunday, 14th March at Polkyth Leisure Centre in St Austell. 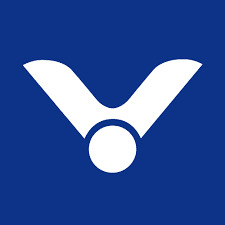 The event, promoted by Cornwall County Badminton Association and sponsored by Yehlex, was to encourage social and league players to play against different people in a competitive tournament. Winners of the mens social doubles were Harry Attwater and Matt Hardy, with runners up Oliver Fernandes and Cameron Hawkes. The combined ladies social and league winners were Dee Frost and Alison Turpie, and Zelda Bennett and Marnie Boston runners up (pictured top). The mixed social doubles was won by Keith Wingett and Sarah Catterall, with runners up Stephen Saunders and Zelda Bennett. Winners of the mens league doubles were Mike Finch and Matt Steele, and runners up Simon Leaworthy and Geoff Carter (pictured top). Finally, the league mixed doubles was won by Simon Leaworthy and Gill Chave, narrow winners over Ryan Cambourne and Waine Parker. Raffle prizes were kindly donated by Tony Pryce Sports. A marvelous 17-21’s tournament, sponsored by Ginster’s, was held at Launceston College, when players from all over Cornwall converged on this year’s venue. The tournament this year was sponsored by Ginster’s who are also sponsoring the 17-21’s shirts for this years Inter County Championship held later this month in Hatfield. The tournament was missing some of last years players who are now at University but welcomed players who last year played in the County under 17 team! The Men’s singles was a well fought affair with Tom Lyle of Launceston eventually running out winner to Ross Lashbrook also of Launceston. The Men’s Doubles again saw Tom now playing with his brother Phil running out winners to Chris Glasson of Camborne and Will Pepworth of Bude. The Women’s singles was won by Claire Whitmore of Truro beating Bronwin Wotton of Hayle, the two of them then went on to beat Lorna Garbett of Callington and Gemma Cliffe of Liskeard. The mixed doubles had to wait until Friday 5th due to time restrictions, when Ross joined forces with Bronwen who went on to win, with Phil and Claire being the runners up. It was a tournament of some quality badminton being played by all and the trophies were presented by County Coach, Kelvin Edwards from Falmouth. The over 60's team completed their eight match league campaign on Sunday 7th March with a convincing 8-4 win over rivals Devon at Torquay. Again they were leaderless as Brian was desperately needed for the 40's side at the same venue. However, to more than make up for this loss, super-sub Bill Edgar again stepped into the side winning all of his games partnered by Mike in the mens and Pat Cass in the mixed, who was good enough to step in for the absent Chris Marr. In the mens, Phil and Tony lost heavily to Devon's second pairing, but got it together in their second game to defeat the Devon first pairing in three ends. With Chris Marr away, Vera linked up with Celia and took both of their games, while the two Pats of Pat Edwards and Pat Cass, won against Devon's second pairing but just lost to their first pair over three ends. Cornwall were now 6-2 up going into the mixed, where the winners of this element were Phil and Celia together with Bill and Pat Cass who did really well winning two of her three games. The team are now confidently looking forward to competing in the Yehlex Inter County Championships at Swindon over the weekend of March 20th, 21st. For the last match of the season, the team travelled to sunny Torquay to take on a strong Devon outfit. The Cornish men were up against 4 younger, talented players, but Pete Bazin and “flying” Phil Clemo clinched a fantastic game, just winning 22-20 in the final end against the 2nd Devon pair. The other Cornish pair, made up of Truro’s Adam Widdison and Brian Hannibal, who was standing in for the day, found it hard work against the Devon men. The girls, particularly Jan Santillo and Liane Irish, did very well, taking 3 out of the 4 ladies games, with Jan and Liane winning a nail-biting 3 ender, before comfortably seeing off the second pair, and Lorna Riggs and Sue Biscoe winning one and losing one. The match was nicely poised going into the mixed, at 4 games each, but the Devon men again dominated, taking the first 2 games. Once again, Phil was his usual dynamic self on court, combining well with Liane to beat the 3rd pair, but Brian and Sue lost out to the 4th Devon pair, and Devon took the match, with a final score 7-5 in their favour. This was a very creditable score for Cornwall against this Devon side, and gives the team renewed confidence for the new season to come. Team – Pete Bazin, Phil Clemo, Adam Widdison, Brian Hannibal, Jan Santillo, Liane Irish, Lorna Riggs, Sue Biscoe. It was the last match of the season, and the team needed at least a point to be safe from relegation, with a full side for the very first time this season, they took on the travelling Hampshire players. Fortified by Jo’s mum’s famous quiche, the Cornish men stormed to a 2 nil lead in the singles, although the girls lost out to 2 talented Hants under 16s, with Claire taking the 2nd girl to 3 ends. The men continued their fine form in the doubles. Both pairs of James and Guy and Kelvin and Tom winning their games easily. Jo and Rachel beat the 2nd girls pair, with Jo taking the lead following Rachel’s leg injury hampering her movement, and Claire and Bronwen just lost out to the same Hants girls in the 3rd end. So, it was 7-5 to Cornwall going into the mixed, one more game needed for a win. Guy and Rachel charged to 2 easy ends to set up the win, James and Jo came through in 3 ends – James in particularly impressive form, and finally, Captain Kelvin and Bronwen secured all 3 points and an excellent overall 10 – 5 win. With this win, the season ends, the team stay in Division 3 and look forward to another successful season. Team – Kelvin Edwards, James Whetter, Guy Michell, Tom Lyle, Jo Philp, Rachel Irish, Bronwen Wotton, Claire Whitmore.